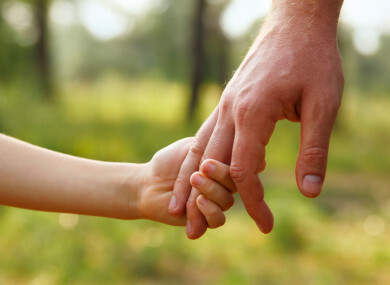 File photo of an adult and child holding hands. A NEW PILOT project in Galway will aim to ease trauma for children who have been sexually abused. The ‘One House’ model, which will be rolled out in early 2019, was announced by Minister for Children and Youth Affairs Dr Katherine Zappone, Minister for Justice and Equality Charlie Flanagan and Minister for Health Simon Harris today. The three departments are working with three agencies – Tusla, the Health Service Executive and An Garda Síochána – to establish the centre. Currently, where there are concerns that a child has been sexually abused they have to be interviewed by gardaí and Tusla child protection social workers, and may need to have a forensic and medical examination. At the moment these assessments may all take place in different places at different times. The child and family may then be referred to another service for counselling and support. Under the proposed model, all services and supports will operate from under one roof. Children who have been abused will be brought to a child-friendly centre where they, and their family members, will meet with gardaí, doctors and social workers who will coordinate their assessments so the child does not have to repeat their experiences. The pace at which the care and supports will be provided will be dictated by the child and their family’s needs. Announcing the news, Zappone said this approach is “aimed at ensuring children are not re-traumatised by having to recount the details of their ordeal a number of times to different people”. She said fact-finding missions showed that similar models are working well in New York, Northern Ireland and Oxfordshire. Harris said the new model is being trialled because of the effect having to be interviewed multiple times can have on a child who has experienced sexual abuse. “It adds to the trauma and the pain children and their families face. These families have already endured so much and we, as a government, must do everything we can to assist them during this difficult time but also to ease their burden in any way possible,” he stated. Email “New centre aims to ease trauma for children who have been sexually abused”. Feedback on “New centre aims to ease trauma for children who have been sexually abused”.